"We're the worst team in the world." Now who wouldn't want to manage that club? 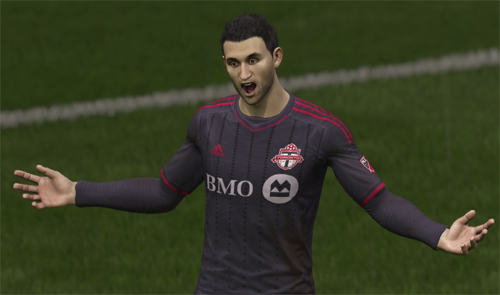 It's time to do the football dynasty I've always wanted to do featuring my local MLS club Toronto FC in FIFA. 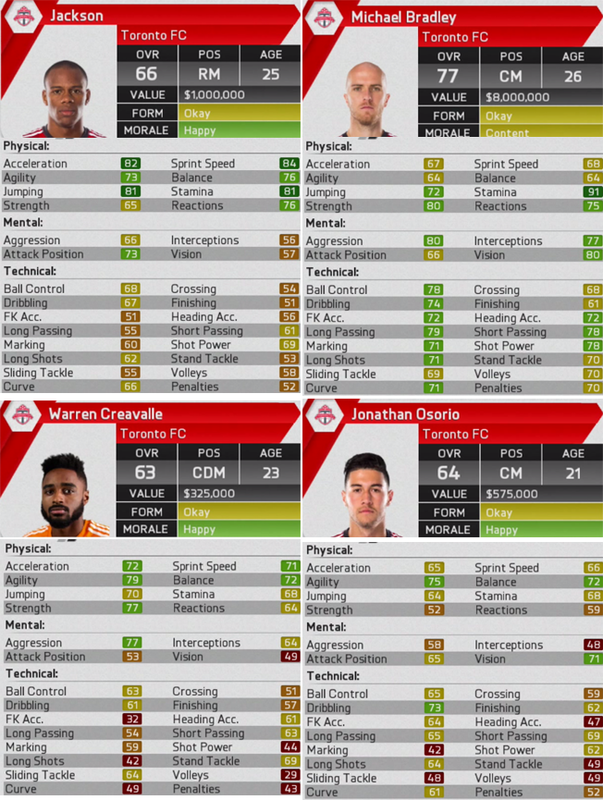 Major League Soccer dynasties have traditionally been a bit of an issue in FIFA because unlike European teams that face relegation, promotion and European competition in either the Europa or Champions League the MLS clubs aren't given much love in FIFA. The US clubs can complete in the MLS and the U.S. Open and that's it. There's no entry into the regional championship (called CONCACAF Champions League) against the Mexican and other Central American teams like real life. 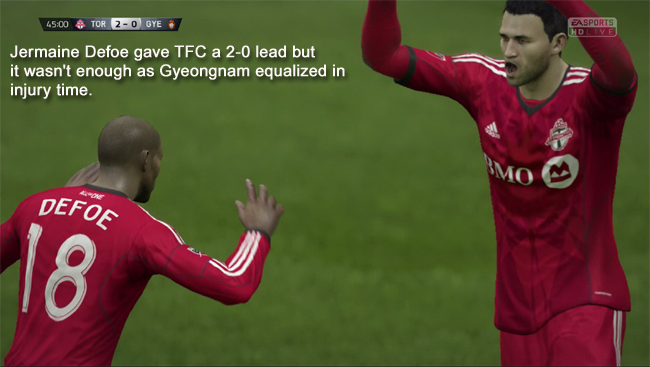 It's even more of an issue to run a Canadian team in FIFA since they don't compete in the U.S. Open. 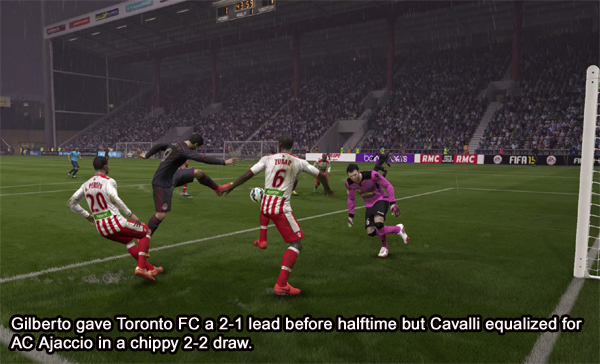 The Moddingway mod (PC only) adds the CONCACAF Champions League and the FIFA Clubs World Cup. The CONCACAF Champions League only has eight teams. 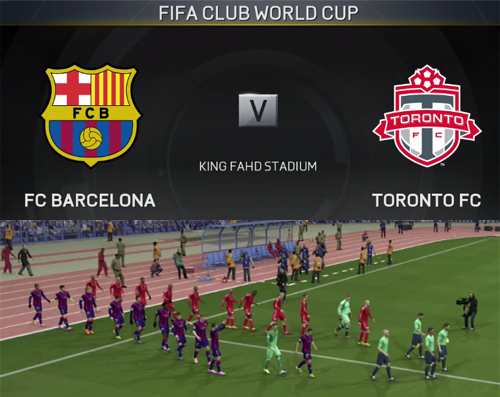 The winner is one of the four clubs that competes in the FIFA Club World Cup (there are more teams in real life). I used Creation Master 15 to create a Canadian Championship. 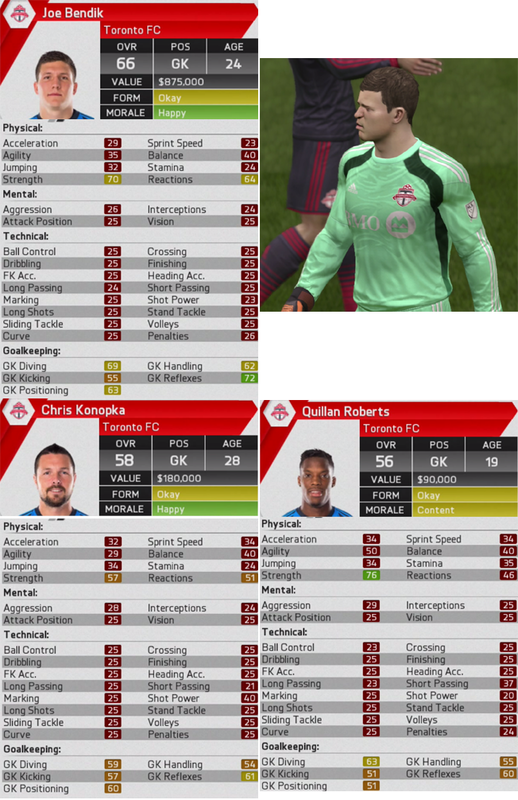 In real life the three Canadian MLS team play a four-team tournament with the NASL Edmonton club. 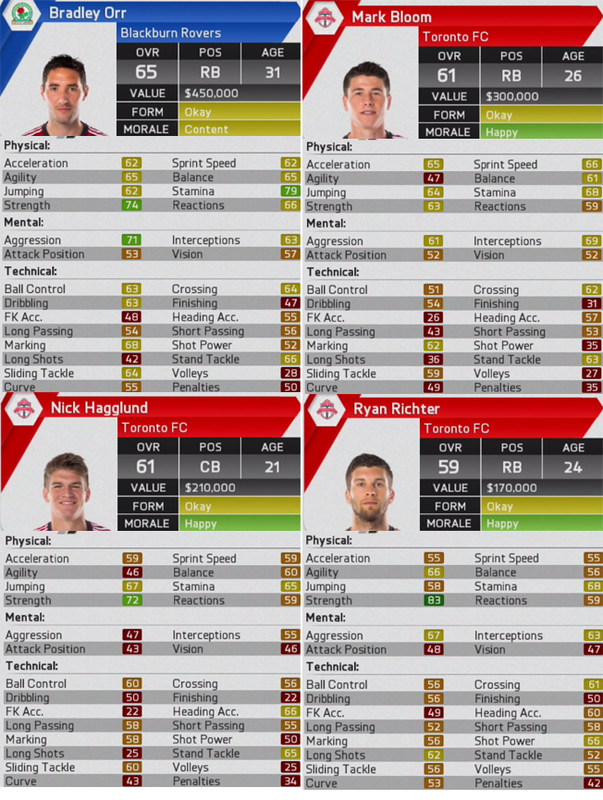 Since the NASL is not part of FIFA or any existing mod, I created a three team Canadian Championship -- Montreal will play Toronto home and away in a semifinal for the right to play Vancouver in the final (Vancouver is probably the best of the three MLS clubs historically so I've given them the bye into the final). Since this dynasty starts in 2014, the new MLS clubs, Orlando and New York FC are not included. 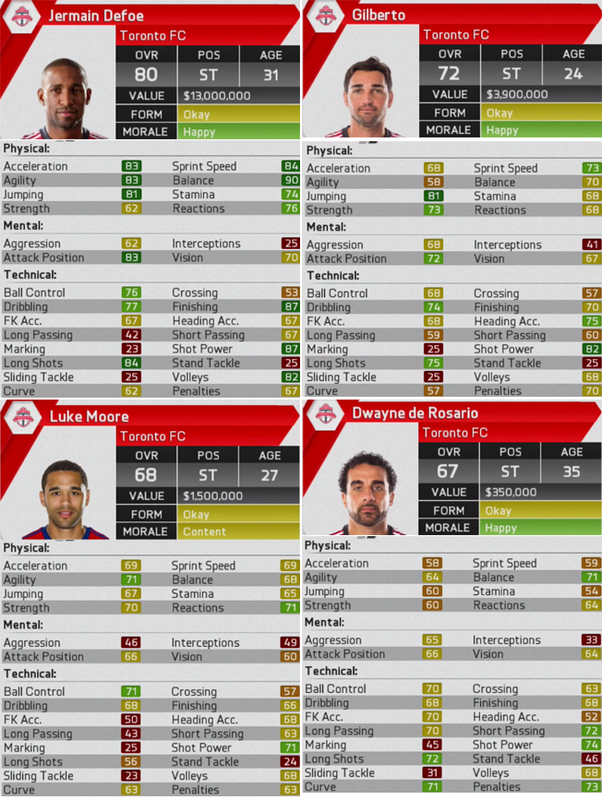 I will be using the default rosters which include Jermaine Defoe on TFC. By the time you're reading this I expect he'll have been sold. 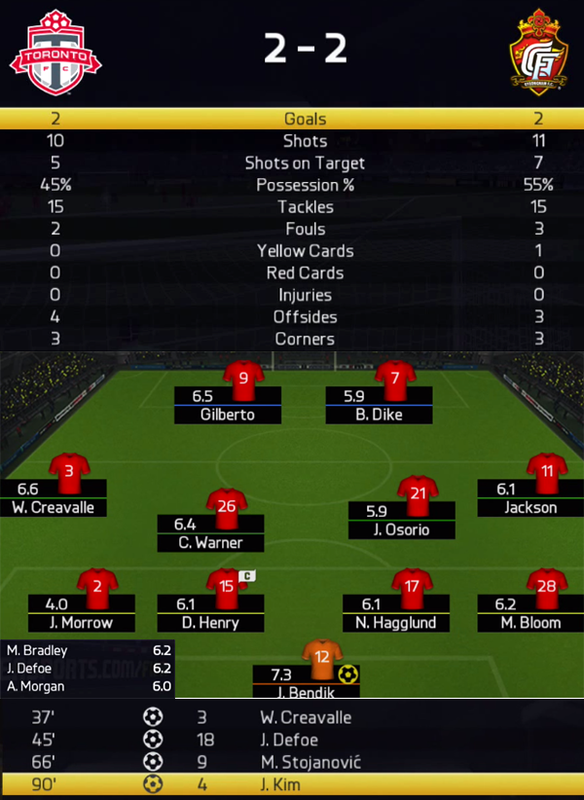 The format for this dynasty will be a bit different from my FIFA Video Dynasty of Bryan Hurst that will continue. 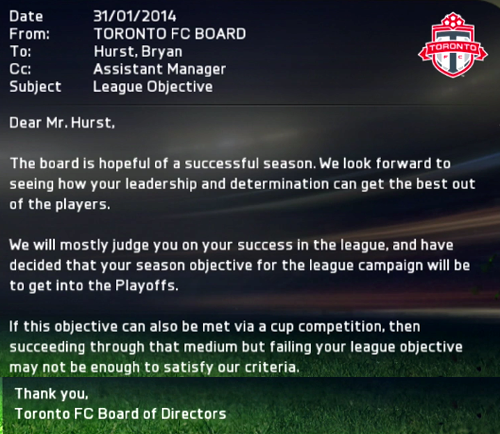 First my intention here is only to manage Toronto FC. Once I'm fired, this dynasty is done. That's a very realistic goal. 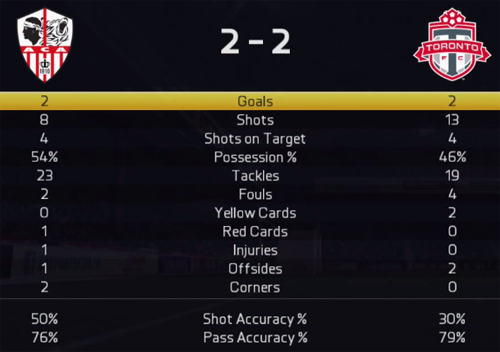 Bendik played pretty well in real life. He'll be the man for every game. If he gets injured we're in deep, deep trouble. Caldwell and Morrow are going to be the anchors of the defense. Wish me luck with that. I think we're going to see more than a few 3-2 games. I'm terrible on defense and these guys aren't going to help my failings. Basically, I'm hoping to out-score my errors. 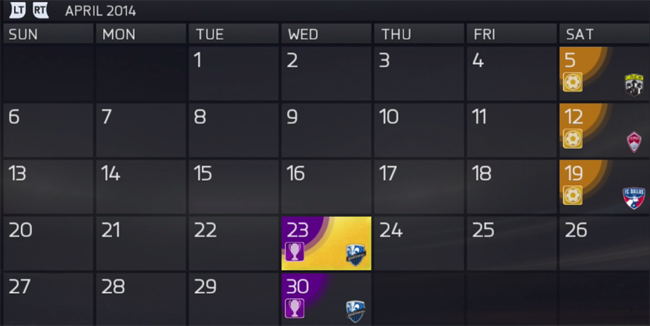 The defense will be the first place we'll be looking to make transfers but I have closed the first transfer window. This looks sweet. Would be fun to play now with Jozy Altidore in town. 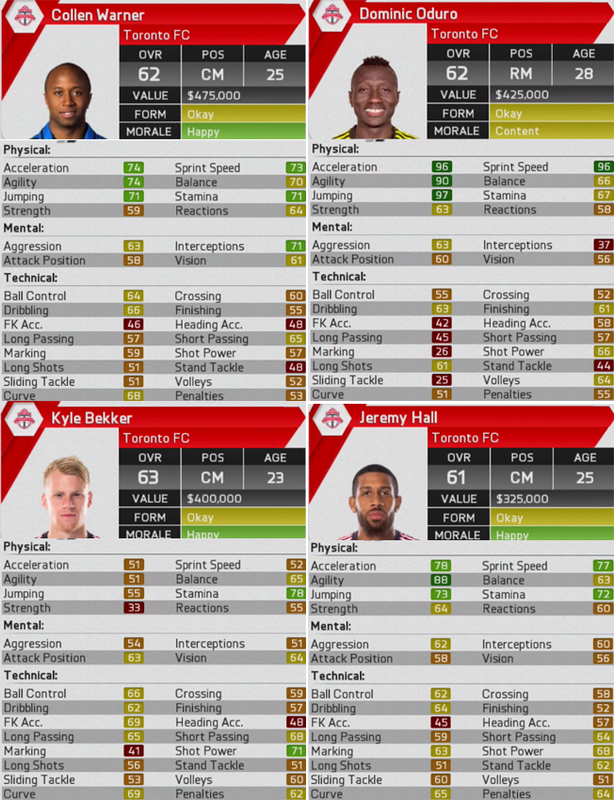 Maybe I'll try a Jozy-Defoe swap in the first available transfer window. The talent level on defense drops off a cliff after the starting defenders. 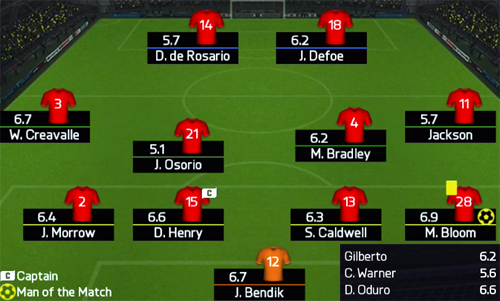 Any injury to the backline will be a catastrophe. I can't wait to play with Bradley. He's going to be a boss in midfield. Oduro has some incredible speed and that may win him a position in the starting 11 sooner rather than later. On the other hand, Bekker's terrible individual ratings seem to have little relation to his overall rating of 63. He'll need a few injuries ahead of him to ever see the pitch. Very happy with our strikers. 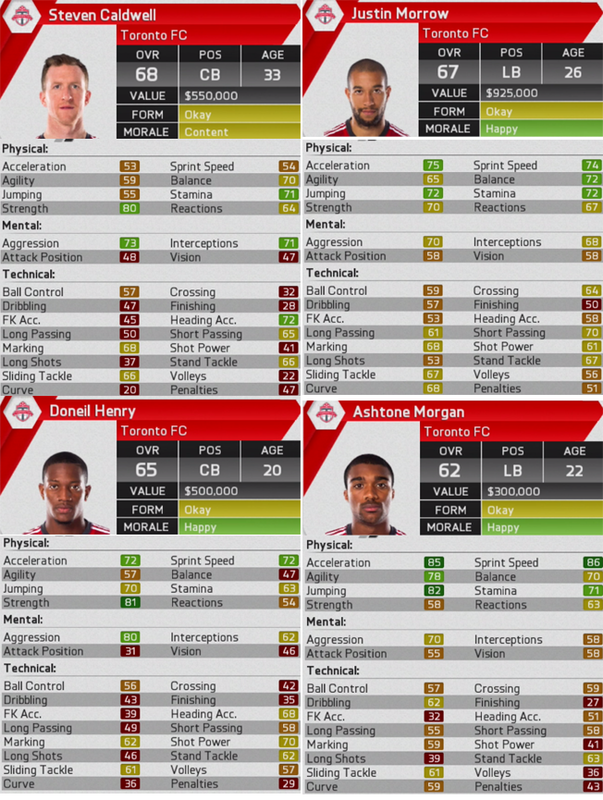 I think Defoe will dominate. 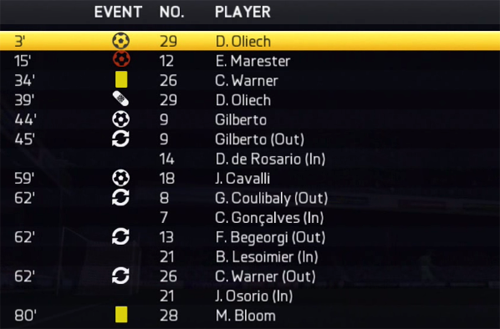 I think we should nickname Gilberto -- Goal-berto -- now. It would be nice to see de Rosario contribute as he was a big disappointment in real life. Going back to your first post: Yea why would anybody want to join TFC? Good luck in the CONCACAF Champions League this winter. Have a deep run and take out as many Mexican teams as you can. Hahha, thanks for the support! It's true that our canadian teams are not that great, but let's hope of our 3 clubs can do something this year. Nicely done dynasty report !